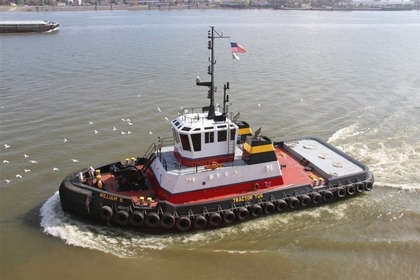 The Bisso Towboat Company was founded in 1890, by Captain Joseph Bisso. When he acquired his first tug the Leo. In 1907, Captain Joseph Bisso passed away. And ownership of the company passed to Captain Bisso's son. Captain William A. "Billy" Bisso. In 1908, Captain "Billy" founded the New Orleans Coal Company. Which grew to become the largest ship coaling, and colliery business in the port of New Orleans, Louisiana. In 1922, the New Orleans Coal Company merged the with the Bisso Towboat Company. In the wake of World War II, the company faced the task of modernizing their fleet. Which involved converting the company's tugs from steam propulsion to diesel propulsion. Although, Captain "Billy" passed away in 1963 at the age of 88. In 1963, Captain "Billy" Slatton passed away, at the age of 88. The Bisso Towboat Company was reorganized under the leadership of his daughter, Cecilia Bisso Slatten. And, his grandson, Captain William A. "Billy" Slatten.